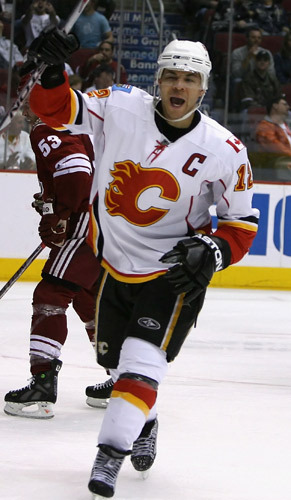 On March 1st, 2008 the Calgary Flames played the Phoenix Coyotes, and won 3-1. It was a good game….it had its moments….but not one to go in the record books. The Flames were definitely focused going into the start of the game…and it showed. Jarome Iginla scored with 1:23 gone, the first of two. Iggie reached 40 goals for the third time in his career. The game wasn’t that exciting…..not a lot happening besides just plain, good old hockey. Although I did find it kind of funny that in the third period when Phoenix pulled there goalie….the Flames made three shots on an empty net and missed all three times!!! Seriously….if they can’t hit an empty net….then maybe that’s the reason they are having trouble scoring with a goalie in it….just kidding. 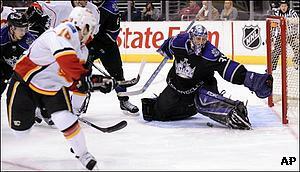 I was also impressed with how Curtis Joseph (aka. 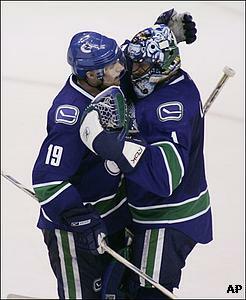 Cujo) played. Joseph made 16 saves for his 448th career victory, moving him into fourth place on the all-time list. He is really starting to grow on me as a goalie….much better than what’s his face from last year… He seems to really be able to play with the flow of the team…and I’m hoping to see him play a little more this season. 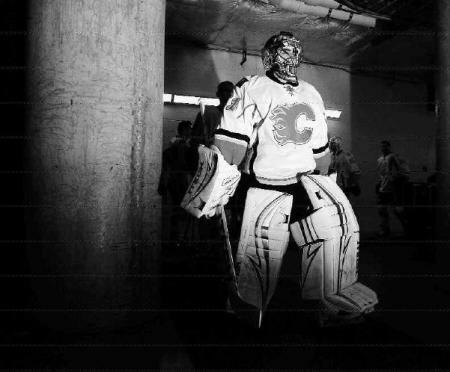 He also played the previous night when the Flames played the Ducks. On a roll…but will it last?? 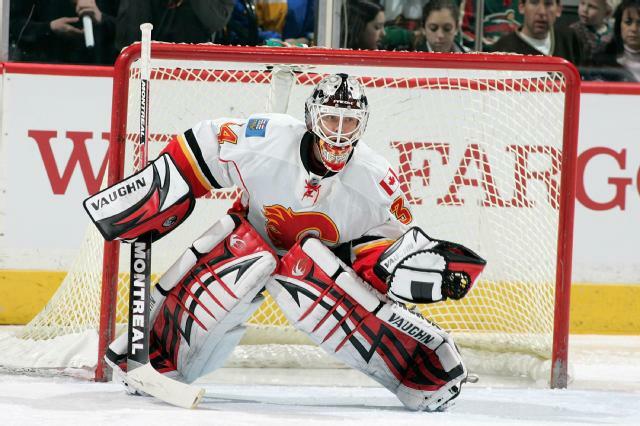 On the last game that the Calgary Flames played, against the Minnesota Wild,they won. It is actually surprising to check the score and not see an huge defeat. But, wait, hold on now, this makes three in a row for the Flames. 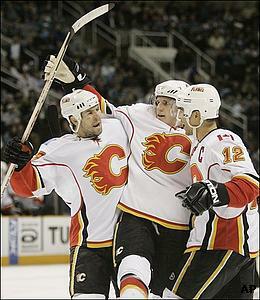 Calgary has won four straight – including three in a row over division leaders – and six of eight. The Flames have beaten Minnesota four straight times. ….But how long is this winning streak going to last?? What happened to the Flames to make them get their act together?? was is Darrel Sutter?? is he the only one that can get the Flames back on their game….or is it head coach, Mike Keenan….has he finally been able to get them to work as a team?? Who really knows?? I guess we will just have to wait and see what happens….Next game is Tuesday February 26, 2008 against the Colorado Avalanche.